After endless demos and conversations, you’re confident that your prospect is ready to buy, yet he/she/the company just won’t seal the deal. Sometimes a little nudge in the right direction can get your prospect to the finish line—and that’s what sales closing techniques are for. Instead of creating a binary yes/no situation with a hard close, use these soft closing techniques to move prospects to the purchasing phase of the sales funnel. As a general rule, avoid closing tactics that are so aggressive that they may damage the long-term relationship you’re looking to build with your customers. Even though an assumptive attitude can generate positive momentum toward closing a deal, it’s important to do frequent temperature checks with your prospects to make sure they’re feeling similarly confident. If you find out your customer isn’t following your positivity, find out what barriers and objections need to be addressed. Without frequent temperature checks, this sales closing technique can easily come off as arrogant and pushy. “Why wasn’t it a 10?" The prospect can then tell you the reasons they feel like your solution will or won’t work. Both pieces of information are vital to you. Knowing why they think your solution will work helps you understand the specific value you bring, and that information is essential when it comes time to work with a procurement team. Knowing why they think your solution won’t work can help you identify and then resolve concerns about moving forward. This approach makes the most sense when you provide a solution with variable components. If you offer a one-size-fits-all solution, there isn’t much to summarize. When prospects hear the list of benefits they’ll receive, it helps them to see the whole picture of the value you’re bringing to the table and creates an opportunity for them to correct you if you got something wrong. No matter which sales closing techniques you choose, make sure that you are clear and specific when you ask your prospect to close. If you don’t specifically ask to close the deal, you probably won’t get where you want to go. Sometimes it’s easy to avoid asking because you want to avoid possibly hearing a “no” from the customer. Hearing “no” just means you have more concerns to address or the timing may not be right. Be bold and ask. 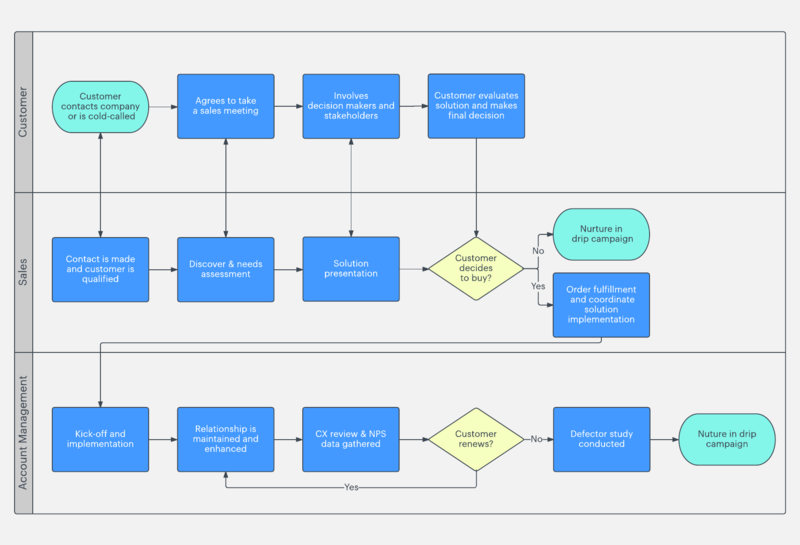 Lucidchart can help sales organizations standardize best practices—like soft closing methods. 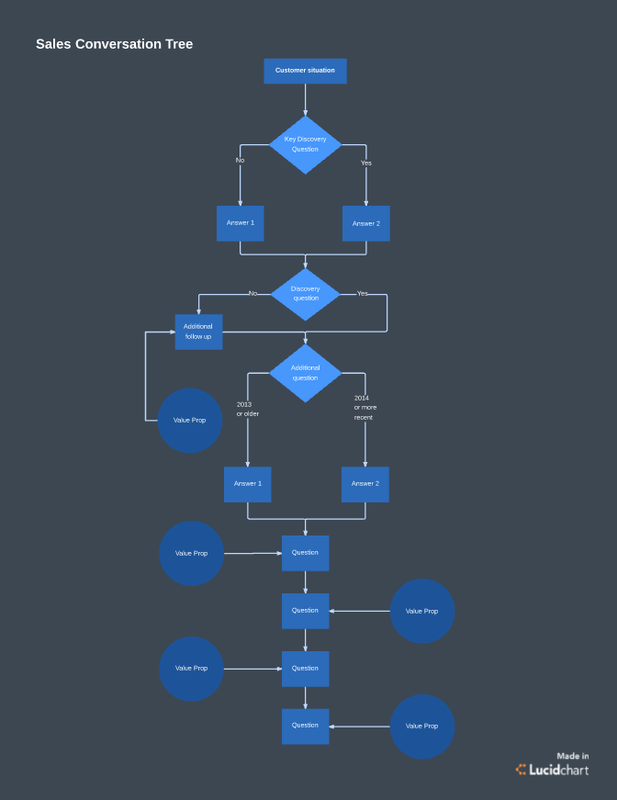 Try the free templates below to build a conversation tree that leads sales reps to choose the right closing technique or to visualize the entire sales process in a flowchart.